Over the last few months, ICLEI Africa has been working with the local municipality and Doornkop Community to implement a solar solution as part of the Urban LEDS project, implemented in partnership with UN Habitat and funded by the European Commission. This has included the installation of solar PV, solar water heaters, solar streetlight, and ceiling and LED lights. 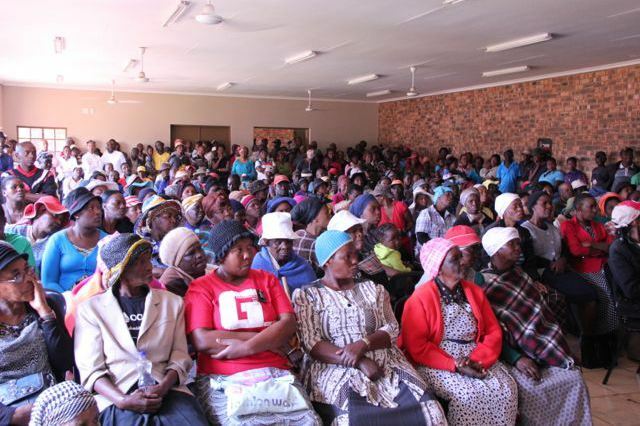 Around 85 of the local community members participated in training sessions on energy efficiency, electricity and safety. Schneider Electric provided this as part of their access to the energy program, and the participants indicated that they learnt a lot during the session. 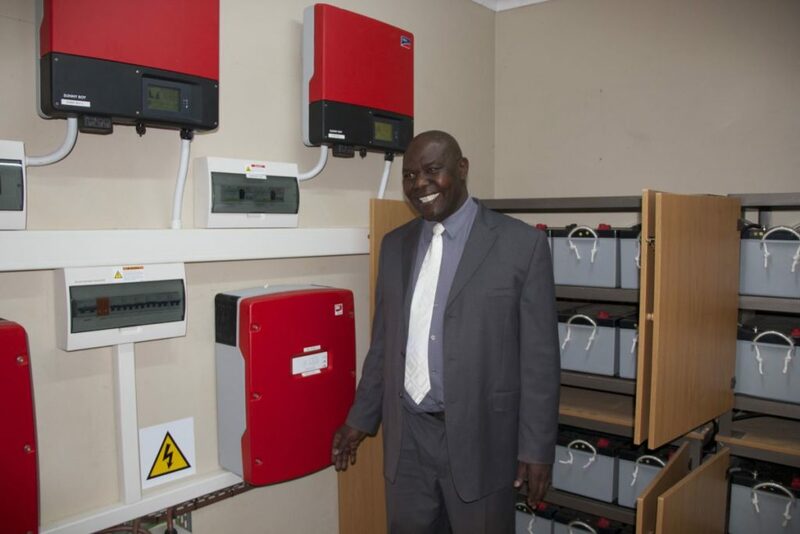 On Friday 18 September 2015, Ward Councillor Maria Mathibela welcomed the visitors to the solar switch-on.Mayor Michael Masina from Steven Tshwete Local Municipality provided insight into his own journey towards sustainable living and encouraged the community to take ownership and responsibility of the newly installed equipment. He encouraged the local businesses to support the community through focusing on alternative energy options in their social investment programs. Benefits of the project are already evident: the care centers can now use fridges to keep their food cold and there is hot water available. Lighting means that the community center can be used after hours, and external lights provide additional security in the area at night. CWP workers can now charge the cellphones that they require for documenting their work, while the children and elderly can listen to the radio and watch TV. The two local schools (Batlagae Primary and Mkhulu Combined School), as well as the Kopanang and Ikageng Home Base Care and Drop-in centers, each received a catering size Wonderbag for providing meals to the local children and aged. The Dinoko ECDC and Old Age Centre also received Wonderbags, as well as Mobiya solar LED lights and kitchen composting buckets. To add to the excitement, the CSIR brought their electric vehicle, which was charged using the solar panels at the Doornkop centrer. This is a plug-in electric BMW i3 built from Carbon Fibre Reinforced Plastic, and its interior is made from natural material and recycled plastic. It has 250kg of lithium-ion batteries in the floor of the car, which has a range of around 140 kilometers. In addition to this it has a small petrol motor, which can charge the batteries. All photos (c) ICLEI Africa.